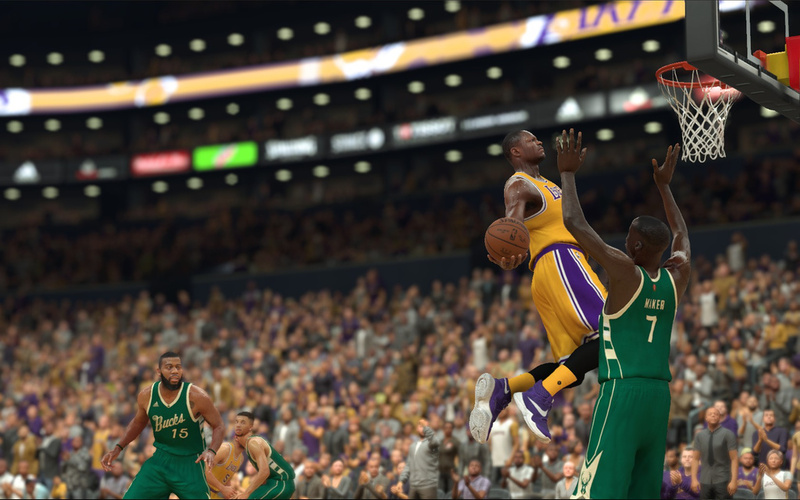 Many gamers have been awared of the release of new 1.07 update for NBA 2K17 while the 2K Sports gameplay director Mike Wang post one bit of patch notes on his Twitter page. "Over-dribbling prior to shooting will see a noticeable drop in FG% with Patch 1.07. Tomorrow morning's tuning update will nerf contested 3s." According to Mike Wang’s Twitter account, shot accuracy penalties will now be more felt after overdribbling in the new NBA 2K17 update. This change encourages players to look for open spots effectively and pass more often when they have the ball. Due to the over-dribbling penalty, players cannot rely too much on opening enemy defense through successful ankle breaks and positioning outplays. At best, try to use your team to focus on making openings rather than relying on regular man-to-man offense and defense. Explaining over-dribbling, Wang said, "By over-dribbling, I mean with Left Stick running around (zig zagging, left/right-ing back and forth, etc.)." He added, "We had this same anti-cheese code in 2K16. Turns out it wasn’t working in 17 so we fixed it. Doing legit RS dribble moves won’t be affected." Asked if shot creators are toast, Wang replied, "Players with good shoot off dribble ratings will actually be impacted the least." He added, "Shot Creators should actually like this patch." As for the contested shot nerf today, it only affects Pro-AM and Park. As the best and most realistic sports game to date, NBA 2K17 have updated 7 times so far. While we don't know what else was included in update 1.07, Wang said that over-dribbling is "the only gameplay change." NBA 2K17 patch 1.07 is available now for PlayStation 4 and soon for Xbox One. The new update is 7.523 GB on PS4 and the official patch notes are not available at this time, but we will update the news when they arrive.